Day01 : New Delhi–Nainital(328Kms/7hrs): On arrival at New Delhi Airport or Railway station or any Pick up point in Delhi , you will be welcomed by Hill stations tour planner executive or driver and direct transferred by road to Nainital (the beautiful lake district of Kumaon).Check in at your pre-booked hotel in Nainital & Overnight. Day02 : Nainital(Sight Seeing):Enjoy Breakfast and proceed for sight seeing tour covering Nanda Devi Temple, Governor’s House,Nainital Zoo,Boat ride in naini lake,Cable car ride.By evening proceed for nature walk tour around lake in Mall Road & Overnight stay at hotel. Day03 : Nainital(Sight Seeing): After breakfast, Visit Bhimtal,Naukuchiatal, Sattal.Rest of the day is free to explore other scenic sights or visit mall road and shopping. Dinner & overnight stay at hotel. Day04 : Nainital–Delhi(328kms/7Hrs): After breakfast check out from the hotel drive to Delhi. 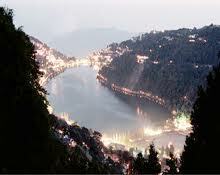 Arrive in New Delhi & drop to airport or railway station.End of the Nainital Tour with loads sweet memories. 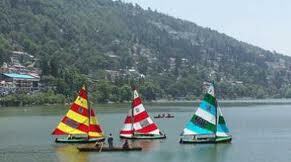 Trip Cost (With Deluxe Hotels) Rs.12,300/Per Person. Trip Cost (With Luxury Hotels) : Rs.16,200/Per Person. Trip Cost (With Deluxe Hotels) : Rs.15,250/Per Person. Trip Cost (With Luxury Hotels) : Rs.19,950/Per Person.